Do I Use a Quitclaim Deed to Remove My Name From the Title? What Is a Quit Claim Deed in Alaska? A deed is a document that transfers property ownership. 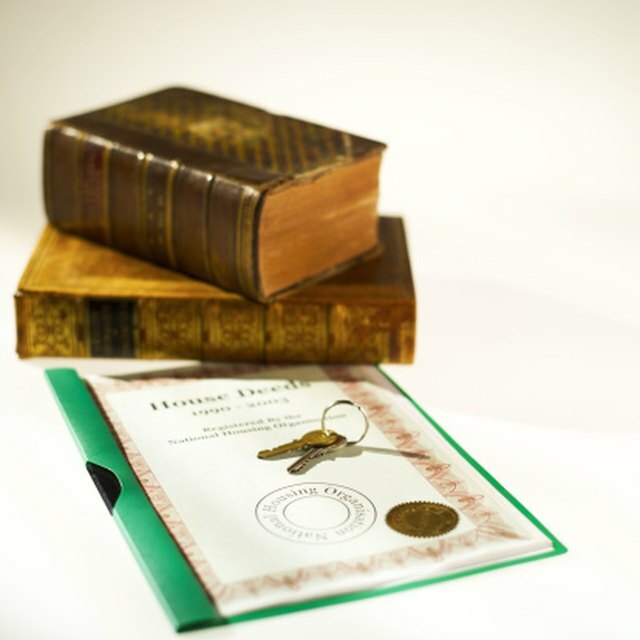 Ultimately, if your name is on the deed, you hold the property that it describes. There are many different types of deeds that can be used to transfer ownership, or a form of ownership. Some, like warranty deeds, come with guarantees of their validity. Quitclaim deeds are typically short and simple. Quitclaim deeds are very accurately named. Signing a quitclaim deed means that the person executing it quits any claim that they have to the property. If they had a claim to it, that claim ends when they execute and deliver the deed, but that's all the quitclaim deed does. It doesn't contain any other promises or guarantees. In fact, you could quitclaim a property that you don't own and the deed would be as valid as if you quitclaimed a property that you owned -- in either case, you're giving up your claim to the property. This is why people typically use quitclaim deeds to remove themselves from title, but a buyer wouldn't want to accept one if he was actually taking title to a property. You would usually sign a quitclaim deed to remove yourself from title. For example, if your husband won the family house in a divorce and you were his ex-wife, you would quitclaim your interest to him to comply with the court order. Alternately, if 10 partners all decide to sell a property, but only nine sign the documents and the property mistakenly closes, years later, that extra partner could remove himself from title with a quitclaim deed. With the downturn in the housing mortgage, quitclaim deeds have gained new attention as tools for homeowners to use to walk away from their houses. Some people think that they can quitclaim their houses to the lender and be free, and they're half right. When you quitclaim a house to your lender, you lose your ownership of the house. You haven't, however, done anything about your legal obligation to pay your lender according to the terms of your loan agreement, also known as a promissory note. As such, if you're using a quitclaim deed to give your bank the ownership of your property, it's usually best to do it as a part of a larger transaction structure that includes the bank letting you out of responsibility for your mortgage. What Does Tenants in Common Mean Relating to Real Estate? On one hand, quitclaims seem harmless. Usually you just use them to give up something that you don't want, aren't using or might not even be legally entitled to. However, if you're still responsible for the property financially, quitclaiming could leave you with no way to legally protect yourself. You'd end up with all of the responsibility and none of the ownership. Realtor.com: What Is a Quitclaim Deed?